More than 100 bike/walk activists from Alameda and Contra Costa counties assembled in Berkeley to help create a vision, a strategy and some concrete action items to help direct efforts for the next 5 years at Bike East Bay. There were several community groups like ours that attended, including veterans – Bike Walk Alameda, Albany Rollers & Strollers and San Francisco Bike Coalition. There were also some new ones like Bike Concord and ourselves. I was bowled over by the positive energy and the level of commitment from this crowd. They really inspired me. I think we can use some of these techniques in our upcoming retreat. Both days were facilitated by Jeremy, a consultant. 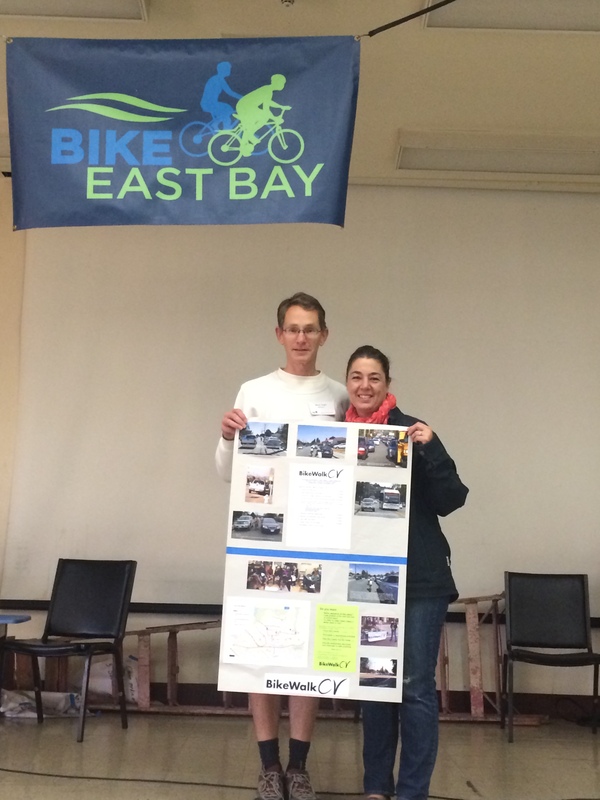 We worked through a series of exercises where we shared ideas and brainstormed to create the Bike East Bay Mission, Vision and Guiding Principles, and Strategic Goals. We left with 3-4 action items for each of the Strategic Goals–Advocacy, Education, Community Engagement.